Everyone has dreams of sitting in the driver’s seat of a real NASCAR stock car. 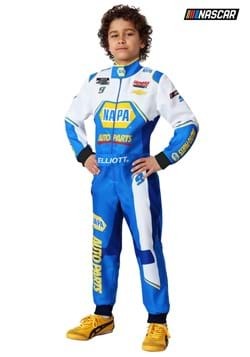 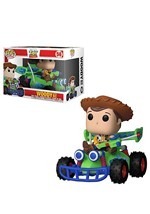 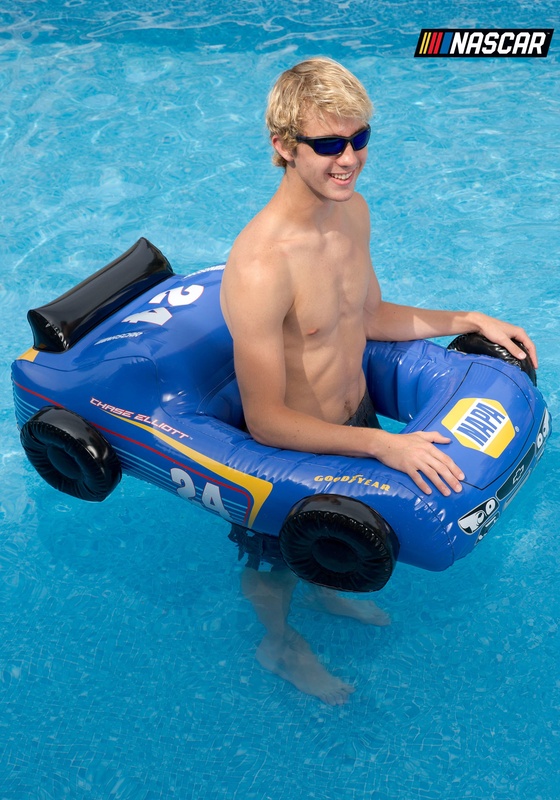 Now, with this officially licensed Chase Elliott inflatable car, that dream becomes one step closer to reality! 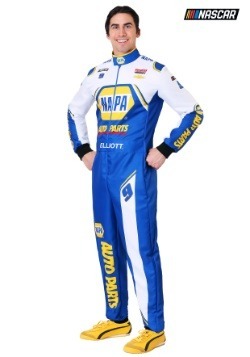 Inspired by Chase Elliott’s signature No. 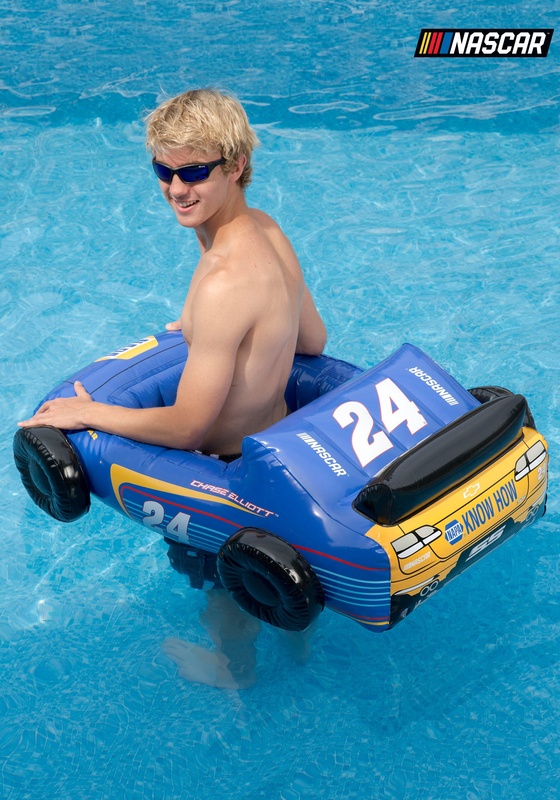 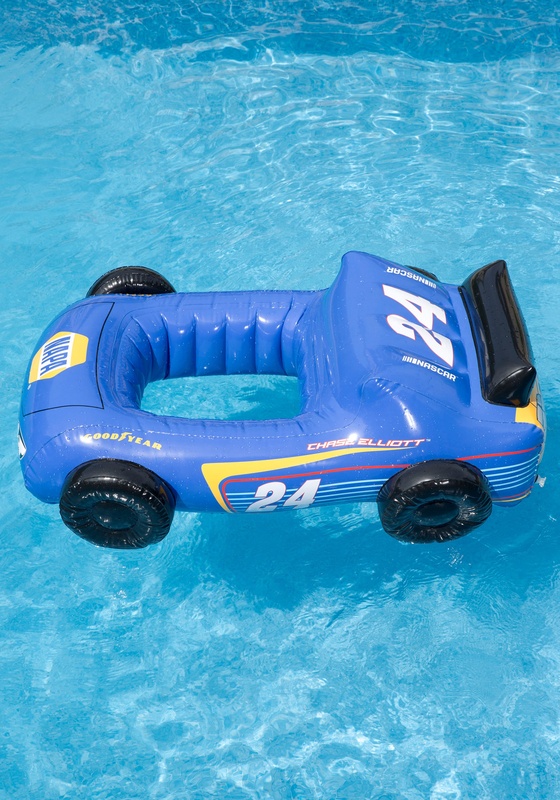 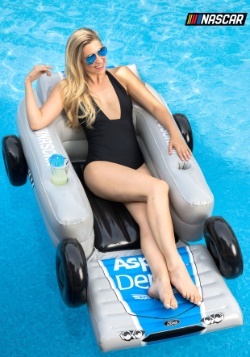 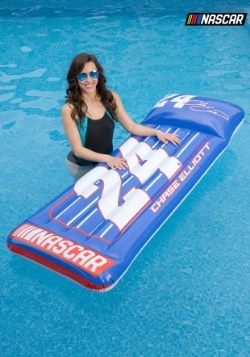 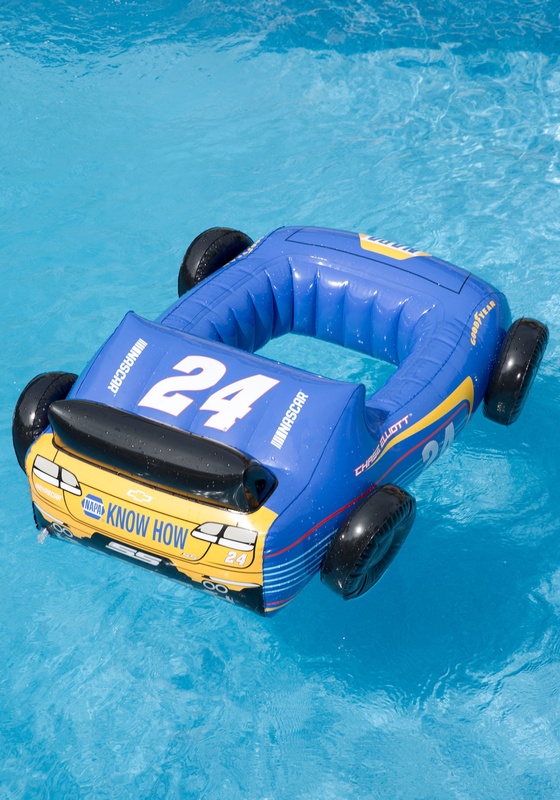 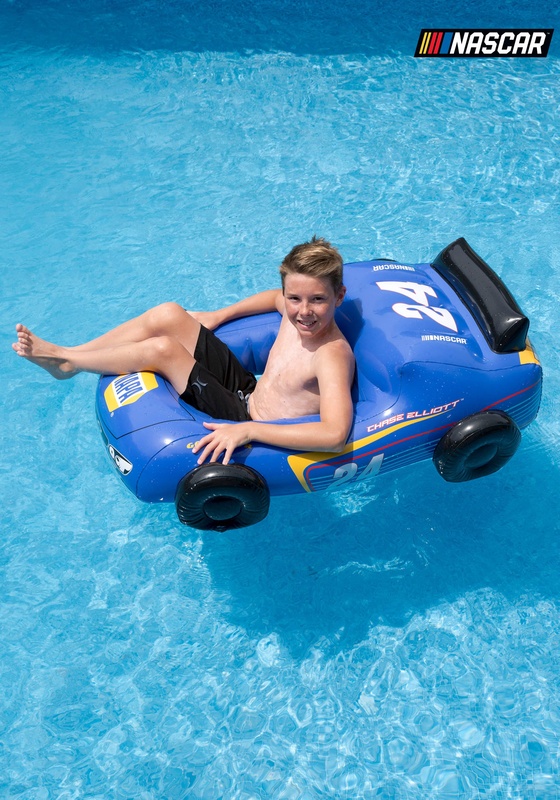 24 stock car, this pool inflatable captures all the NASCAR style in a fun accessory that you can bring to the beach, or any pool party. 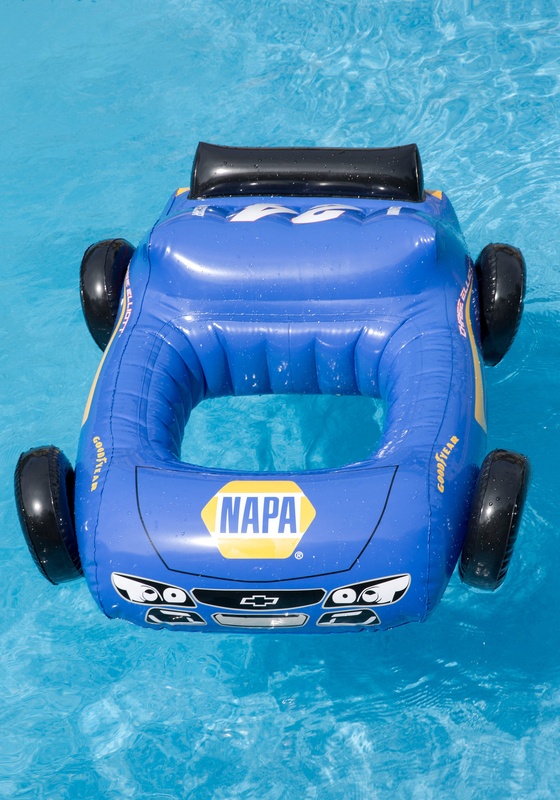 It even has tiny tires, a spoiler and a NAPA Auto Parts logo on the front. 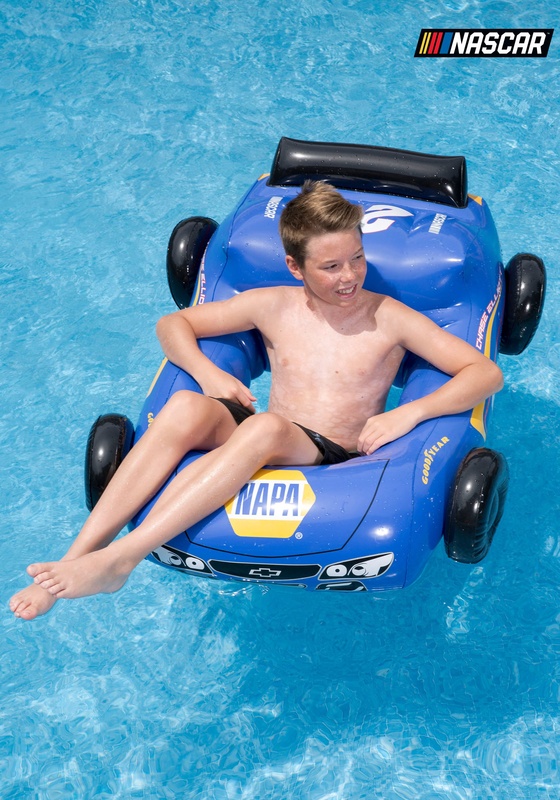 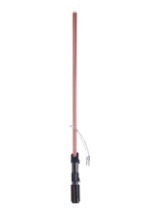 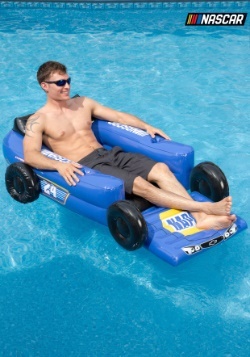 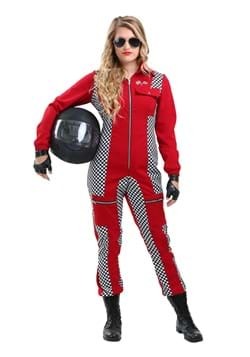 It’s the perfect way to make you feel like a real NASCAR driver while relaxing in the pool. 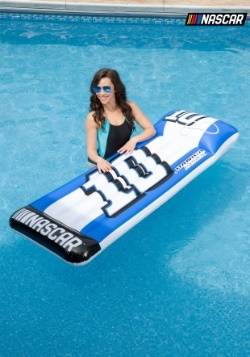 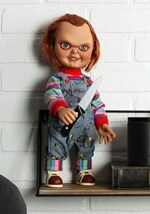 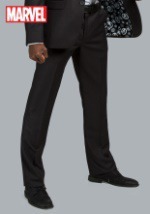 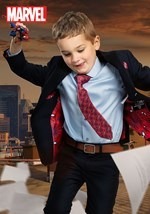 NASCAR® is a registered trademark of NASCAR, Inc.